For the past several weeks, Roberto and I have been dueling it out on the chess board after dinner. Well, “dueling” might not be the most accurate verb, because it insinuates that we’re relatively equal, and that fight is a fair one. Restatement: For the past several weeks, Roberto has been annihilating me on the chess board. But despite the guaranteed trouncing, I’ve found that the most pleasant way to spend an evening at Wafer Station is to play several games of chess with Roberto, salon empty and classical music playing softly in the background. Anyways, here’s a little bit about Roberto, taken from an interview I conducted several nights ago. I’ve paraphrased his responses, and tried my hardest to convey them accurately, without taking any liberties. As the Chief of the Sustainable Tourism Program, what are your duties? As the Chief of the Sustainable Tourism Program, my duties entail coordinating and supervising tourist activity around the island. When a boat of divers arrives, I give an introductory presentation and collect the park fee. I monitor the numerous dive sights to ensure that diver activity is not having an impact on the island’s marine ecosystems. Really, I’m in charge of anything that has to do with diving; I’m responsible for checking all of the moorings in Wafer and Chatham Bay, and also for keeping the hulls of Cocos Patrol and Cocos Patrol 1 barnacle-free. But diving-related activities aren’t my only responsibilities. 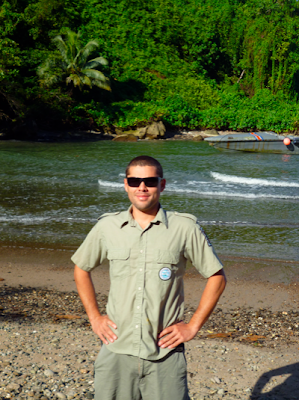 I guide visitors on the various hikes around the island, and I’m part of the “transfer team” that ferries the deliveries of produce, gasoline, volunteers, and funcionarios from the boats to the island. Then there’s my least favorite task, processing all the paperwork - permissions, waivers, etc - related to the diving boats. And like everyone else at the station, I’ve got certain responsibilities in regards to the maintenance and upkeep of the station. As one of the rangers most frequently on the island’s trails, I end up doing a lot of the trail work. Roberto is one of the go-betweens for the Park and the diving boats. All of the communication and coordination is carried out over the radio. I’m an outdoor kind of guy. I like to surf, mountain bike, and kayak. Out here at the island, I do a lot of scuba diving as part of my work, but I also enjoy free diving. I can hold my breath for two minutes, but I’m trying to push that limit. I’d like to be able to stay under longer than that. I’m also a big birder, and a recreational photographer. Recently, I’ve started playing chess again. I used to play a lot, but then I stopped for three years or so until a couple of weeks ago when Vinicio challenged me to a game. 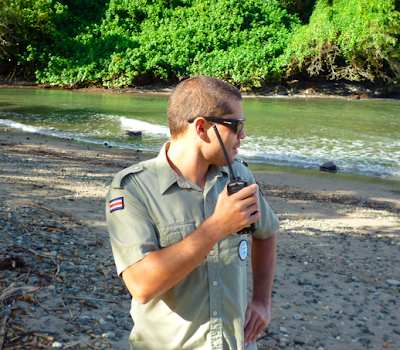 Before I got the job as a guardaparque, I worked as a naturalist and outdoor guide. My work took me all over Costa Rica, but most often I found myself in the Arenal area in the north, or around Corcovado National Park, along the Pacific Coast in the south. 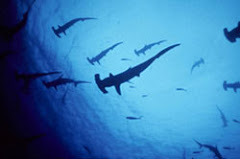 I spent a month here at Cocos Island as a volunteer, and afterwards I got a call from Golfin with a job offer. 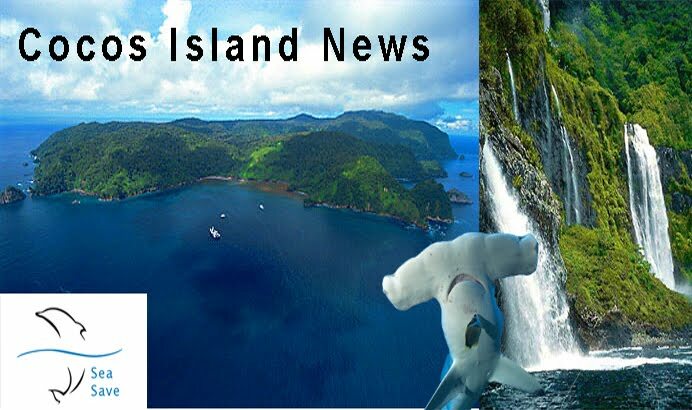 Despite the lower pay and the prolonged time away from home, working at Cocos Island, well, let’s just say that it’s not the kind of opportunity you turn down. Favorite part of the island? Well, two things. First, Roca Sucia. I love diving at Roca Sucia; it’s absolutely beautiful, by far my favorite dive. And second, Chatham Bay. I love the geography of Chatham Bay, love the view from the trail above Chatham Bay. The distinct lines of the landscape, accentuated by Manuelite, combined with the clarity and color of the water, ah, man, it’s just buenisimo. Pura vida. The most important part of my work is controlling and reducing the impact of visitors on the pristine and wild marine ecosystem around Cocos Island. Illegal fishing is an enormous threat to the marine life in the park, but so too are careless divers. The most important part of my job is ensuring that the divers that come here to the park are educated about responsible and safe diving practices, so that they have a minimum impact.